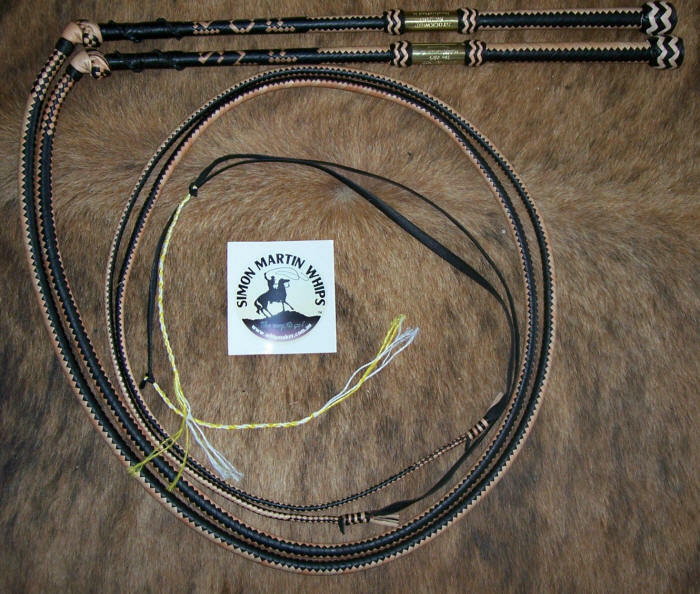 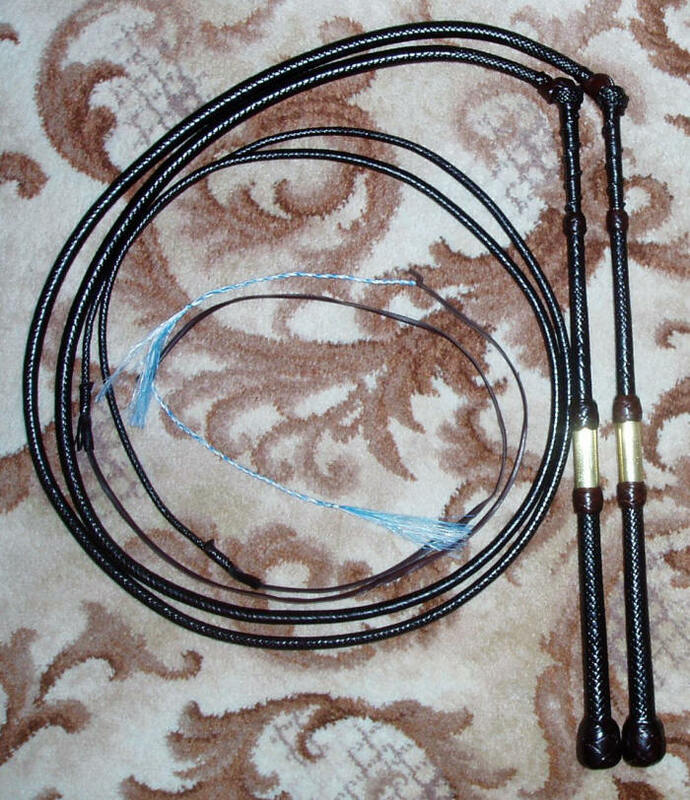 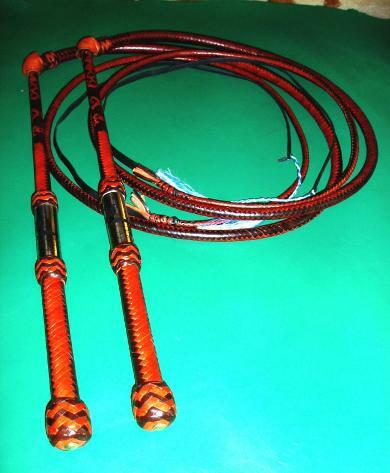 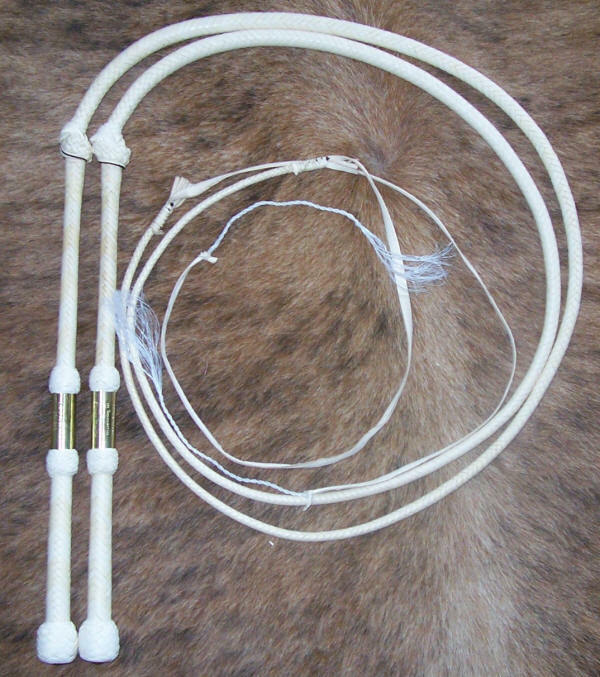 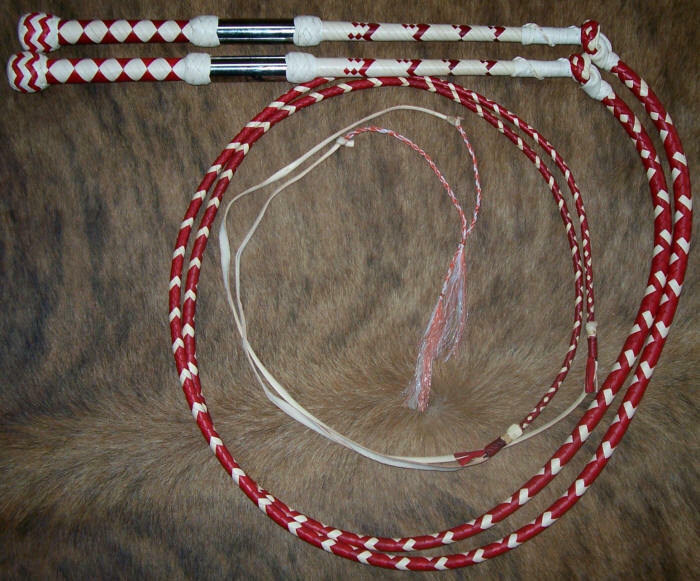 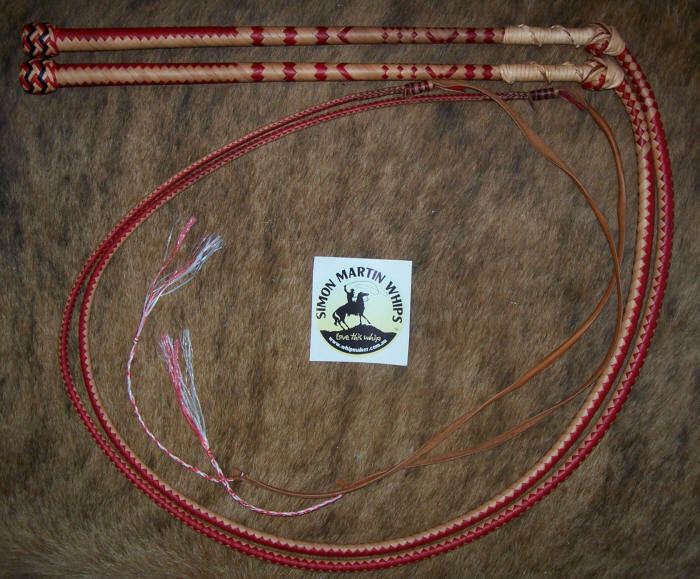 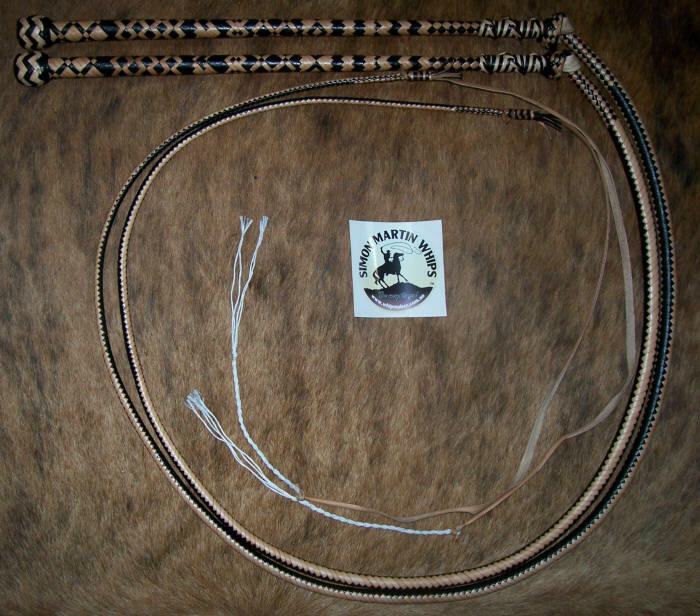 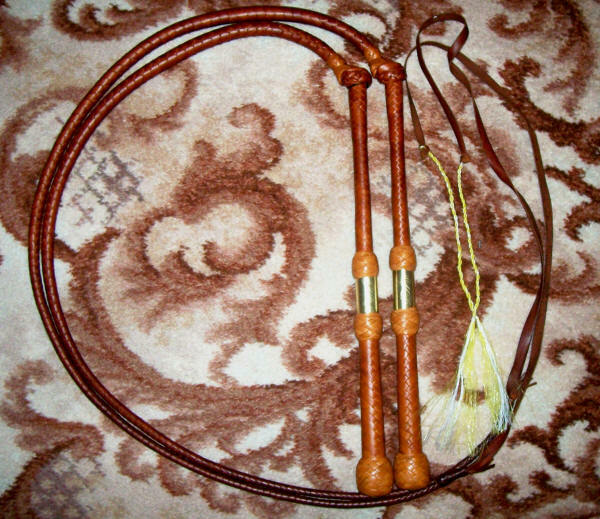 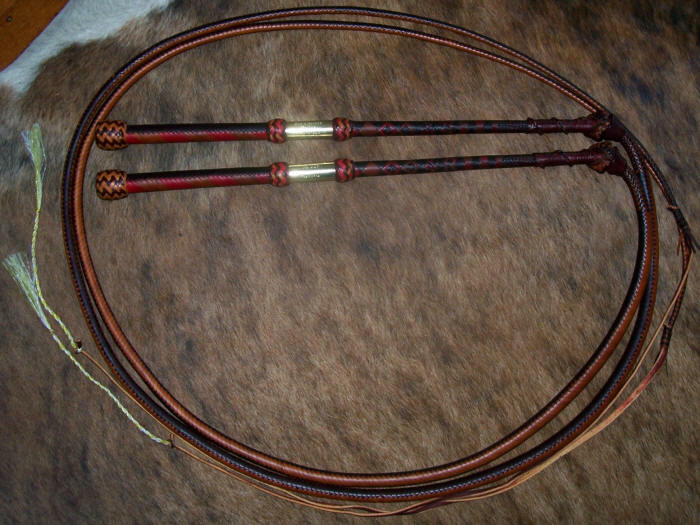 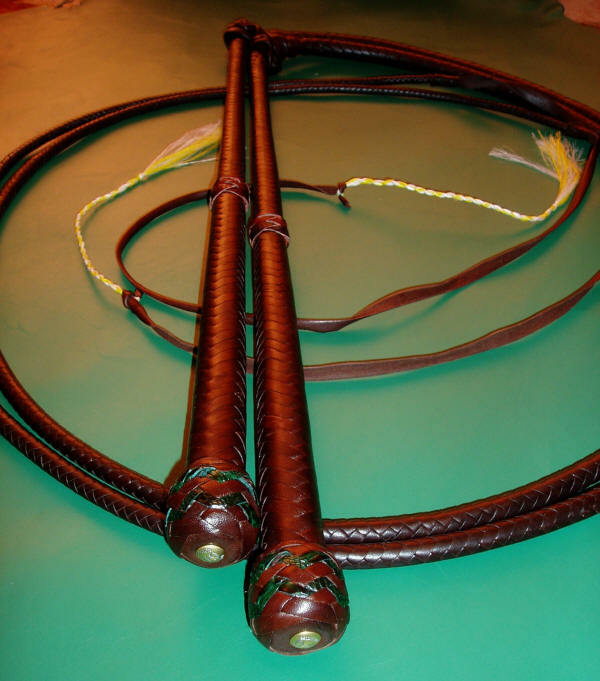 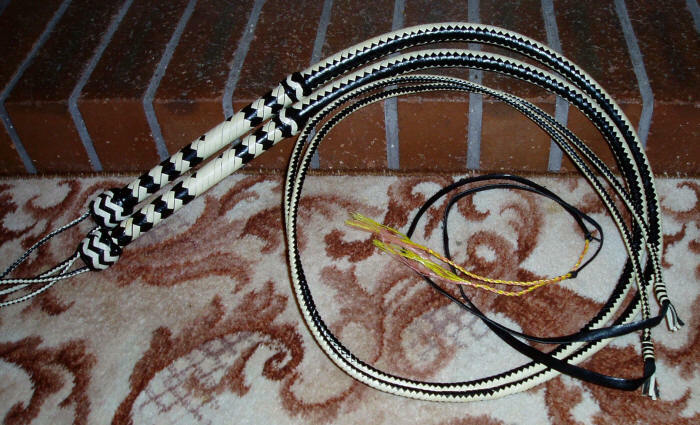 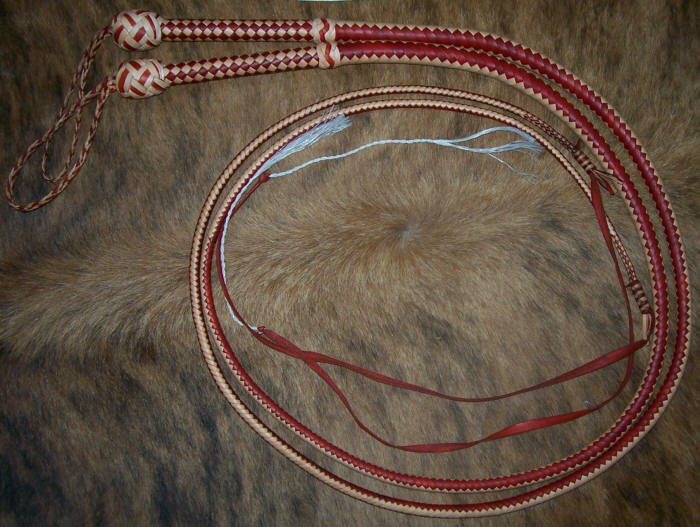 My whips are used and recommended by WORLD Whipcracking Champion, Ben Hughes. 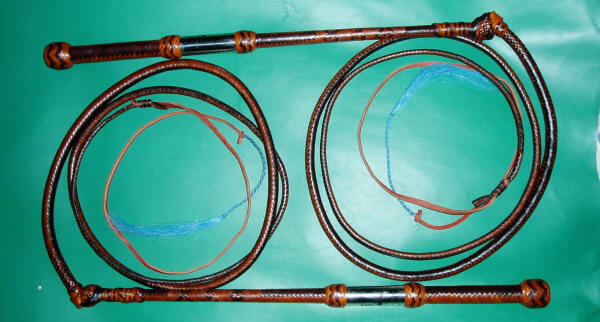 See Ben Hughes Signature Whips below. 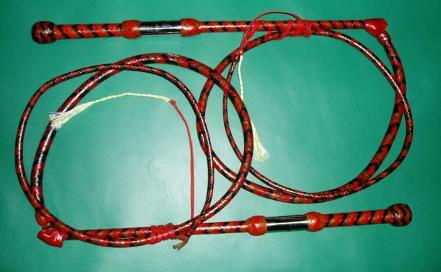 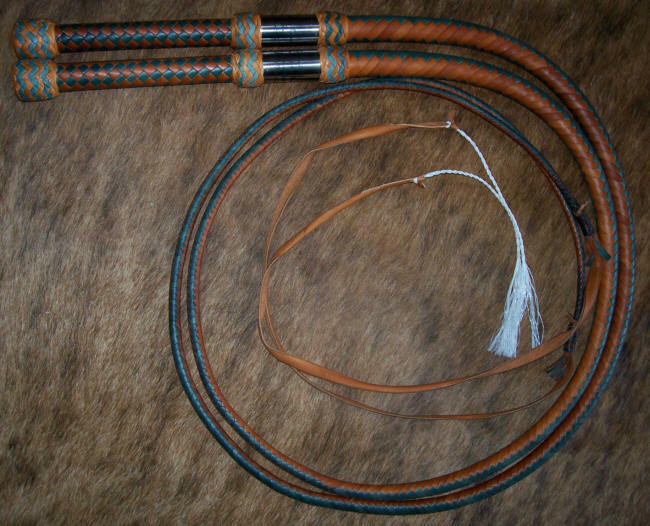 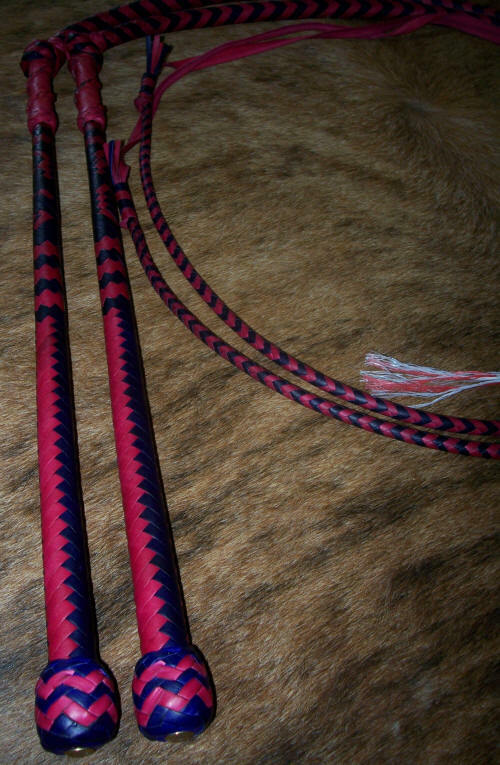 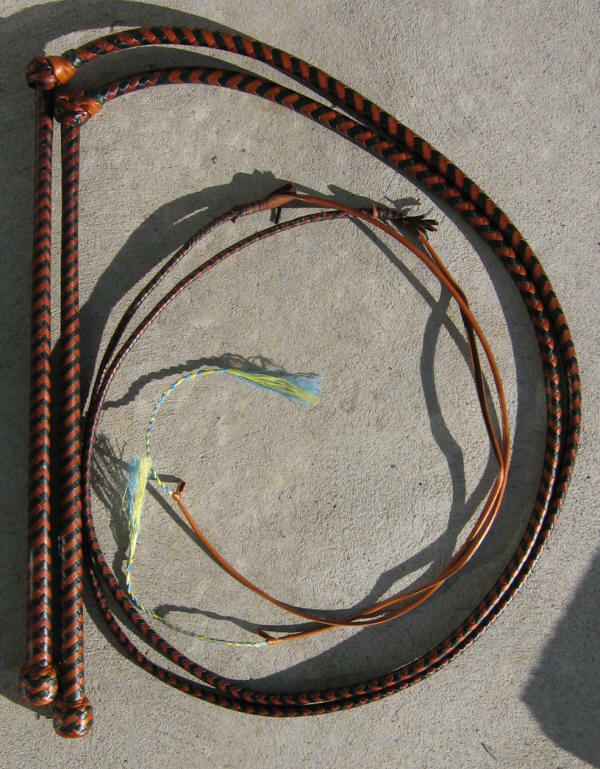 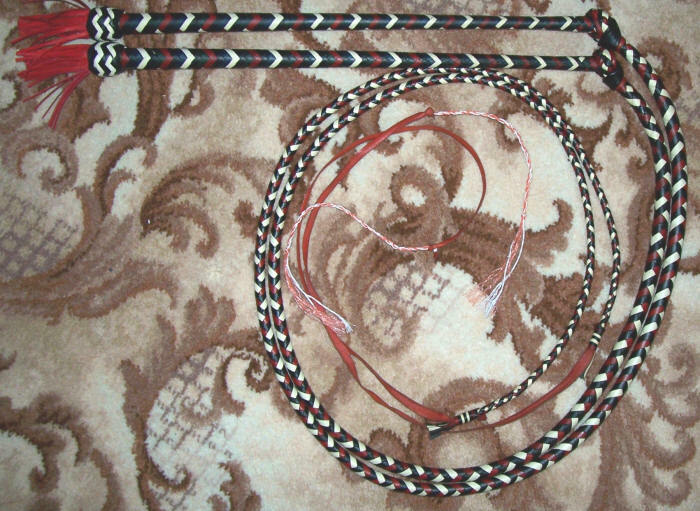 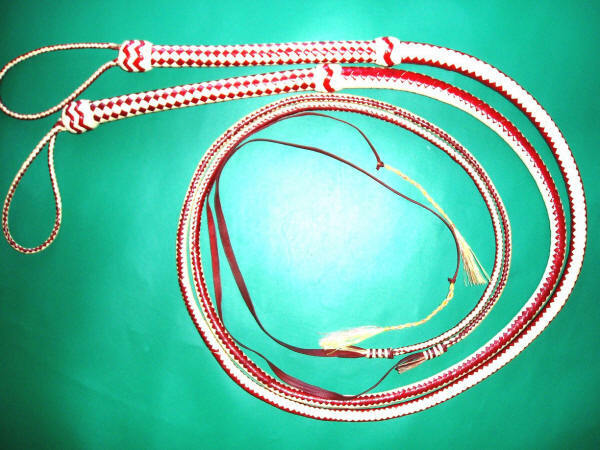 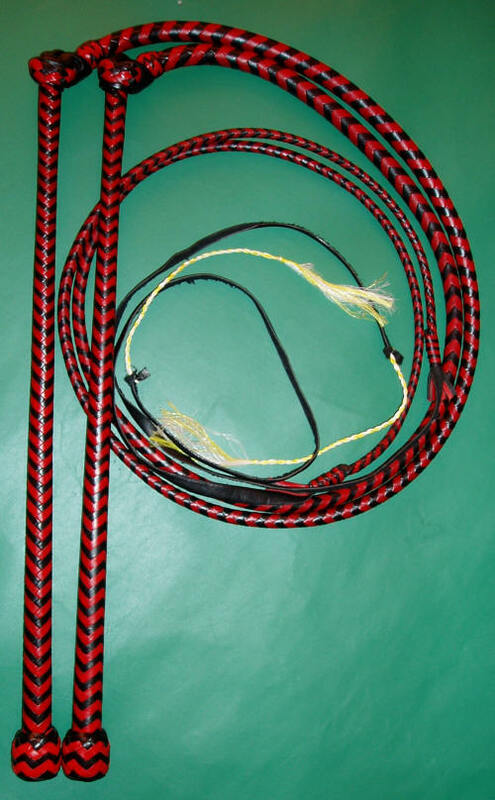 I can make any length whip you want. 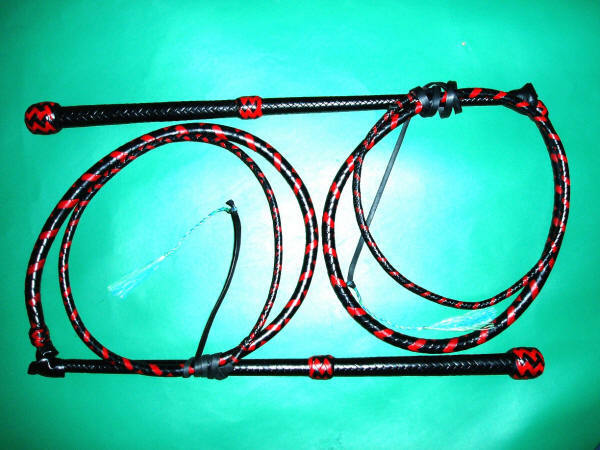 Just get in touch with me and I will give you a price if it is not here. 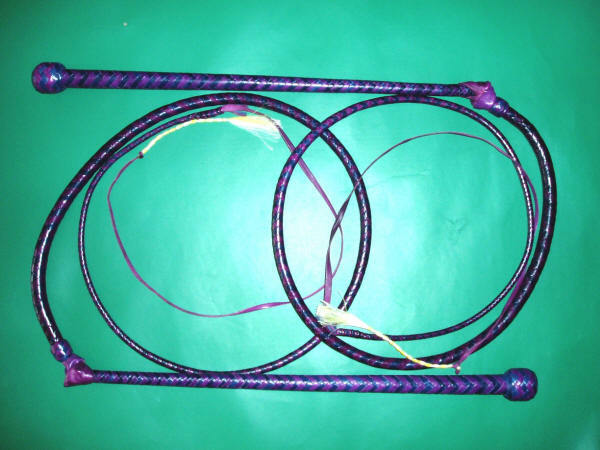 Have fun and get CRACKING!! 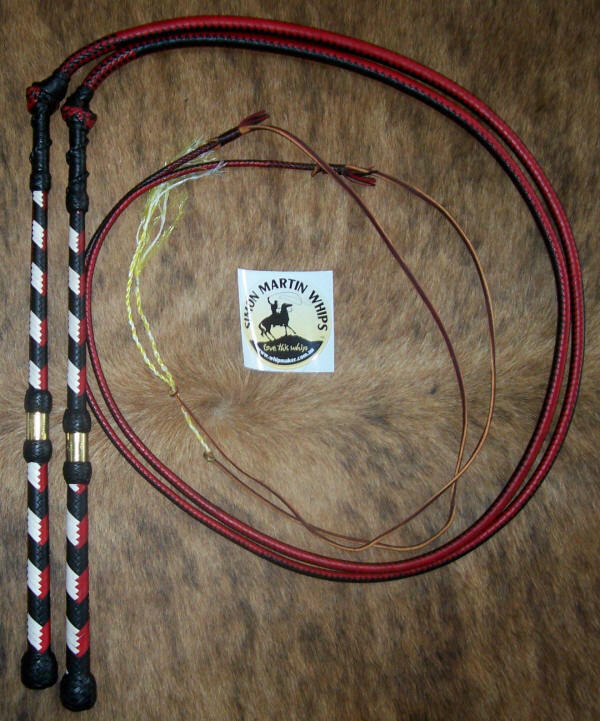 Each pair comes with spare fall, 6 extra crackers and a container of leather dressing. 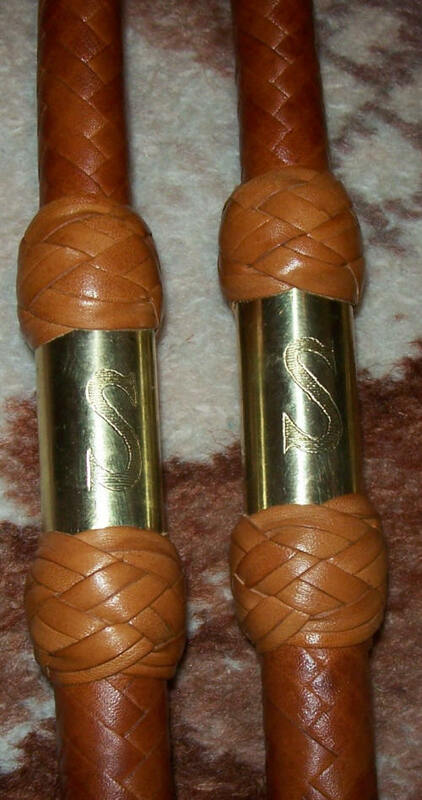 I can make any sized pairs of these and the prices are just the same as the individual price but x 2.